Producers are moving toward an agreement that would allow them to go ahead with a “Roseanne” spinoff, Page Six has learned, because Roseanne Barr is “seriously considering” forgoing any profits from the new show. 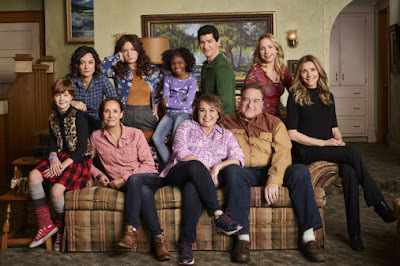 It was a huge blow to the cast, crew and fans of the blockbuster revival — not to mention the network — when ABC canceled it because of creator Barr’s racist tweets. The idea of creating a spinoff — possibly focusing on another family member — that would allow the team to carry on without Barr quickly surfaced. But many, including one of its showrunners, Whitney Cummings, balked at the idea that Barr would profit from the new version. We’re told Barr is now open to cutting herself out of a spinoff entirely. A rep for Barr didn’t get back to us, and ABC declined to comment.